Ever since I started using GrandeLash and noticed a HUGE difference in my eyelashes (think thicker, longer, and actually curled like I got a lash perm), I’ve been a big believer in hair growth serums. I already take 5,000 mcg of biotin and use Women’s Rogaine every few days for my thinning areas (which totally works — granted, the new hair is grey, but I’ll take grey over nothing any day). So why not treat that bald spot on my left brow, I thought. The claim: An eyebrow “enhancing” serum formulated to minimize brow loss. Rich in patented organic ingredients that are supposed to “activate” brow follicles and restore sparse areas in as little as four weeks. Organic and Ecocert certified. Plus sustainable packaging. 99.49% of the total ingredients are from natural origin. Free of a whole list of things, including parabens, phthalates, gluten, fragrances, cruelty, on and on. It’s also vegan. According to the company, their Phyto-Medic Complex is a natural alternative to prostaglandin, a common ingredient in hair growth serums, including Latisse. Prostaglandin is a lipid found in the body, particularly where there’s damage. It has hormone-like qualities as well as some possible not-so-great side effects like darkening the iris (not a problem for dark-eyed me), swollen retinas, blurry vision, red/brown rings around the eyes, redness in the eyes, itchy lids, and irritation. I haven’t experienced any of these side effects (though I did have to switch out my silicone-based eye serum that caused the lash serum to slip into my eye and sting). 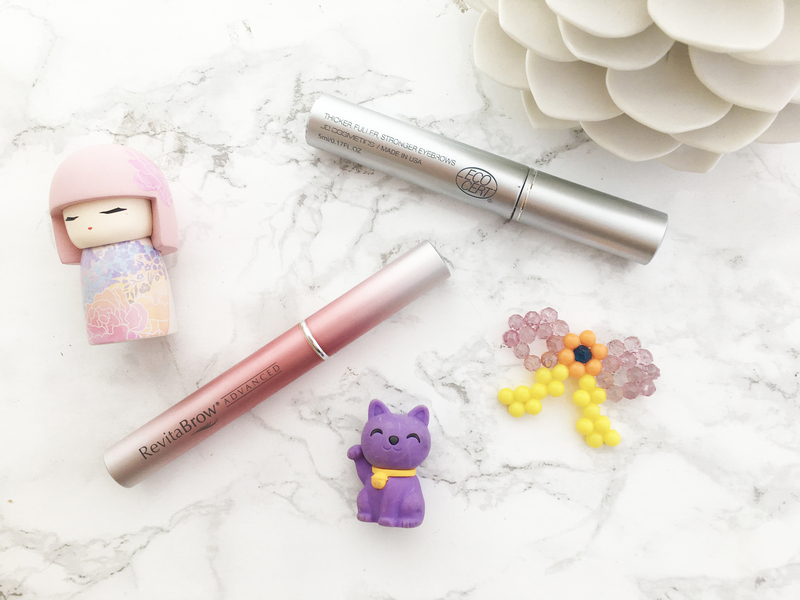 My experience: This looks much like a lash serum in that it’s a long tube and the applicator is a thin brush. You just brush the lash serum every night on the roots of your brows. After 3 months of using Browfood, maaaaaybe each individual brow hair looked a tad thicker? I even felt like at one point it was looking like my brows were getting thick enough to start to fill in that bald spot on my left brow. But then it just sort of petered out and that bald spot never got much better. I like that it has a doe foot applicator. It’s much easier to apply on brows. Men can use it on their sideburns and facial hair. Swertia japonica and ginseng extracts that are rich in antioxidants and vitamin B. 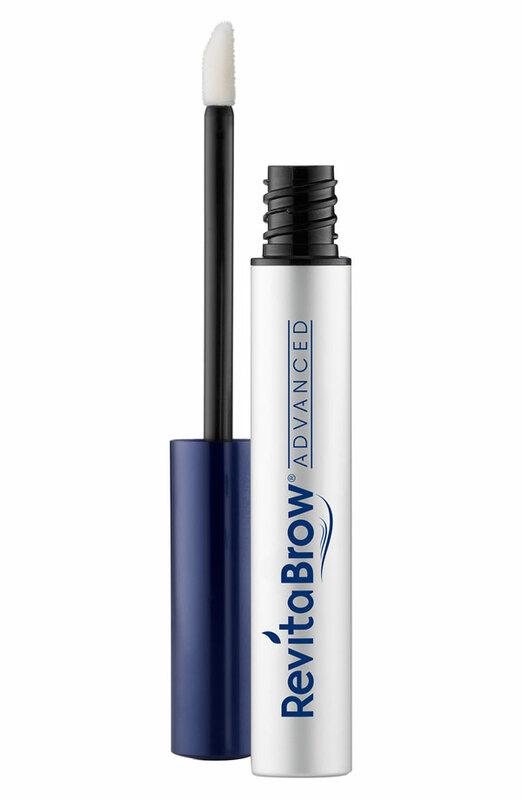 My experience: After 1 month of RevitaBrow, already I can see that each brow hair is noticeably thicker and even a bit longer (which helps in doing the eyebrow version of the combover over that bald spot on my left brow). Combine that with the fact that the bald spot has definitely filled in a bit, almost to the point where it’s not that noticeable. Such a huge difference. Conclusion: If you’re concerned about prostaglandin, then RevitaBrow may not be for you. But since this is going on my brows, not my lash line, I don’t mind the prostaglandin. (Heck, I don’t even mind the prostaglandin on my lash line.) And yes, BrowFood is more affordable. But for me, BrowFood didn’t work, so that’s not even an issue. If you’re looking to just nourish your brows and give it some TLC, BrowFood may be good enough for you. But if you’re looking to seriously thicken your brows, maybe even fill in some sparse areas, then RevitaBrow was the hands down winner for me. What has your experience with brow serums been like? Since I wrote this post, my brows have gotten even fuller. At one point, I did a double take because for a split second, I couldn’t tell if I had filled in my brows or not! Thanks so much for the nomination Sophia! I can’t wait to do it!